Minnesota Gov. 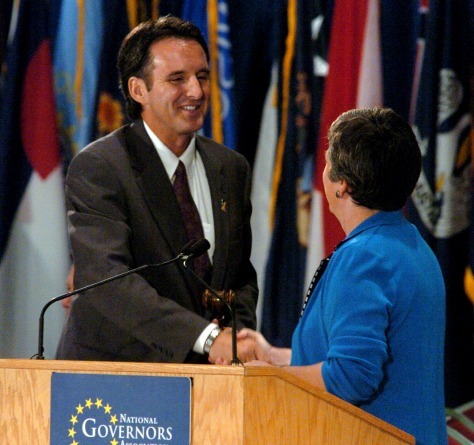 Tim Pawlenty, left , accepts the gavel as incoming chairman of the National Governors Association, Monday, July 23, 2007, from outgoing chair Arizona Gov. Janet Napolitano during the final session of the annual National Governors Association meeting Monday, July 23, 2007, in Acme, Mich.